We have a good number of people signed up for the Gregorian Chant Network Chant Weekend with Colin Mawby, but there are still places available. Please don't delay: book now! The course runs from 8-10th April, that is Friday to Sunday. It starts on Friday afternoon, with Mass at 5pm, followed by dinner at 6.30. You can register either before Mass or after Mass, if you can't make the earlier time. It ends with lunch on Sunday. Here is the application form. This is a unique opportunity to be taught by Colin Mawby, the distinguished composer and former Director of Music at Westminster Cathedral, in the context of the Traditional Mass (EF). As well as sung Mass each day, there will also be Vespers, Compline and Benediction. The course runs alongside the St Catherine's Trust Family Retreat, so we will have an audience for our singing! The full cost of £90 is discounted as low as £30 for groups from the same schola, so come along and bring your friends! An additional £10 off for Latin Mass Society members. 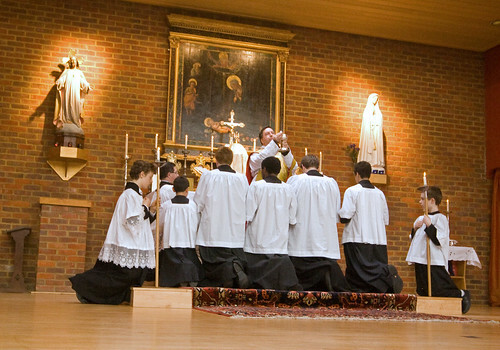 The Gregorian Chant Course continues at St John's Cathedral Portsmouth until June 2011. The next Workshop in the series takes place this Saturday 19 March, running from 1000 to 1600, when the participants will have the opportunity to put their skills into practice in the Cathedral at Vespers and Benediction. If you have not previously registered it is not too late to do so, please contact me. Reductions are available for students, children and groups. Bursaries are also available on application. Please pass the word. 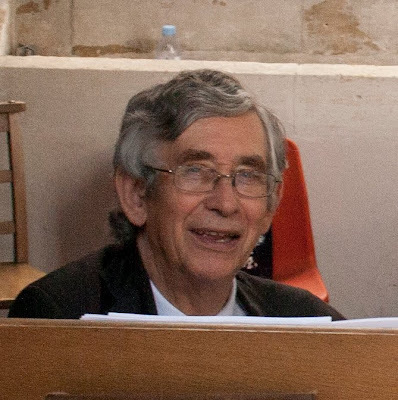 This Saturday's Workshop will include a continuation of the organ accompaniment practicum led by Neil Wright. (cellos, trombones, bassoons etc.) are especially welcome. Instrumentalists are requested to bring a music stand. Please contact me if you plan to bring an instrument.